• standing in solidarity w/local labor struggles such as the imminent (as of this writing) BART strike. Justice 4 Alan Blueford website. Come out for a day of solidarity and family fun with Port Truckers. Meet the families affected by the conditions and compensation of the drivers and hear their stories. There will be food, fun for kids, and a speakout. Bring food to share if you can. Show the billionares that profit from the port and the city that governs it that the truckers have our support. We will not rest until their demands have been met. Credit: Artwork image by Susie Cagle. November is social justice month, and the Revolutionary Poets Brigade is hosting this event to explore some key questions. What is Social Justice? What is Social Injustice? Speakers include Jack Hirschman, former SF poet laureate, Ethel Long-Scott of the Women’s Economic Agenda Project, John Curl, author of For all the People, and poets Sarah Page, Sarah Menefee, Ayat Jalal-Bryant and Aja Couchois Duncan. Our weekly open meeting for members and supporters to discuss the weeks tasks and projects. Come get plugged into ongoing housing defense work! We have abundant and varied work for all folks in any number of meaningful projects. Our weekly open meeting for members and supporters to discuss the week’s tasks and projects. Come get plugged into ongoing housing defense work! We have abundant and varied work for all folks in any number of meaningful projects. Join Critical Resistance for Dreaming Wildly, Fighting to Win. This event will feature a rare West Coast appearance by acclaimed poet Martín Espada in conversation with Angela Y. Davis and will be moderated by Melanie Cervantes of Dignidad Rebelde. Dreaming Wildly, Fighting to Win will encourage audience members to envision a world free of the prison industrial complex and inspire us to take steps toward making those visions real. Espada and Davis will be joined by other culture workers and movement leaders to lift up the spirit of liberation and self-determination. All proceeds will benefit Critical Resistance. The Post Office has put the Berkeley Post Office up for sale!! Come and help plan our next actions in defense of our post office and against privatization. Four weeks ago we learned that perfidious Post Office Executives, who only the week before had sent a letter to the Berkeley City Council offering to negotiate until at least November 12th, had had CBRE (Richard Blum’s company) list the downtown Berkeley Post Office for sale. Check out the video of Peter Byrne’s talk at our recent Save the Post Office Rally! Even through grassroots activists and their social movements have been powerful and often successful throughout history, most activists believe they are powerless and feel their movement is ineffective and failing. These beliefs can become self-fulfilling prophesies that create a chain reaction of hopelessness, low energy, burnout, dropout, declining numbers, and disastrous strategies and tactics. Without a guiding framework that explains the step-by-step process of social movement success, activists are unable to set appropriate long- and short-term goals, develop appropriate strategies, tactics and campaigns; and avoid common pitfalls. The Movement Action Plan Model provides tools of analysis and action, and offers great hope to those working to change society. JoAnn McAllister is the Director of the Human Science Degree Program at Saybrook University in San Francisco. JoAnn develops programs for community-based organizations, educational institutions, and government agencies, and participated in numerous social movements over the last 30 years. She is the co-author of Doing Democracy: The MAP Model of Social Movements, developed by non-violent activist and trainer Bill Moyer who began working for social change with the American Friends Service Committee in the 1960s and then as staff with Dr. Martin Luther King, and participated in or trained activists in almost every major social change initiative over the succeeding forty years. Participants will be invited to begin analyzing the stages of the Occupy movement and the roles that citizens – activists, rebels, change agents, and reformers – are playing in bringing about systemic change. Time will be allotted for Q&A, discussion and announcements. Donations to Occupy Forum to cover costs are encouraged; no one turned away! Main event (in Washington DC) Facebook page. March to The District Attorney’s Office, 600 Administration Drive, Room 212 J Santa Rosa. WE HAVE ONE DEMAND, for now. We demand Erick Gelhaus be immediately fired, arrested, and Indicted for the Murder of Andy Lopez. 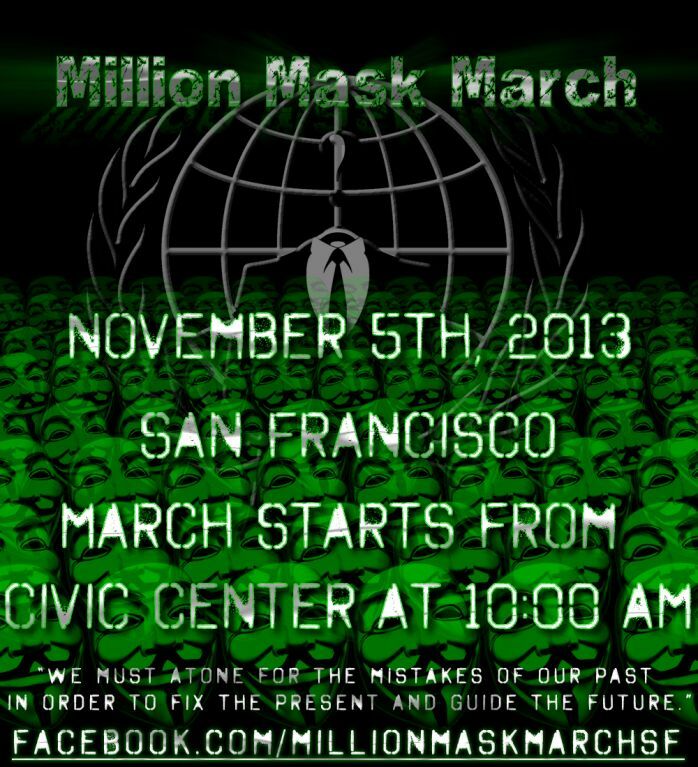 We will march to the District Attorney’s OFFICE on this coming Tuesday, the 5th, planning to leave downtown around 1:30. We need everyone that can be there, there. Justice cannot wait! To all students: Do not let people attempt to quite your voice. It is your voice that is fueling this fight for Andy. It is your voice that has the power to lead to change. It is your voice that needs to be heard!!! JOIN US IN SANTA ROSA ON TUESDAY NOV 5TH, AS WE FIGHT FOR JUSTICE FOR ANDY LOPEZ. HIS MURDERER STILL FREE ON THE STREETS AS ANDY’S FAMILY’S LIFE IS FOREVER SHATTERED BECAUSE ERICK GELHAUS DID NOT EVEN GIVE ANDY 10 SECONDS TO UNDERSTAND WHAT WAS HAPPENING BEFORE HE WAS MURDERED IN HIS OWN NEIGHBORHOOD. WE DEMAND A MURDER INDICTMENT FOR ERICK GELHAUS!! THE DISTRICT ATTORNEY JILL RAVITCH IS FACING RE-ELECTION – MAKE SURE SHE UNDERSTANDS HER FAILURE TO PROSECUTE ERICK GELHAUS WILL BE THE END OF HER CAREER!! The Oakland City Council will soon consider whether to endorse Richmond’s strategy to use eminent domain as a tool to fight foreclosure and study whether it should do the same. The council will take up the issue at a 4:30 p.m. special meeting on Nov. 5 that was requested by Council members Desley Brooks, Larry Reid and Noel Gallo. Richmond’s effort to do something constructive about mortgage relief for large numbers of homeowners in Richmond is being supported by Strike Debt Bay Area (Facebook and webpage) and ACCE. For background check out this article by two Strike Debt Bay Area peeps, Can a Small California City Take on Wall Street—And Survive?. Come and show your support for a city willing to take on Wall Street and demand that Oakland do the same. Representation for the People, a coalition of East Bay activists, is sponsoring this town hall meeting. 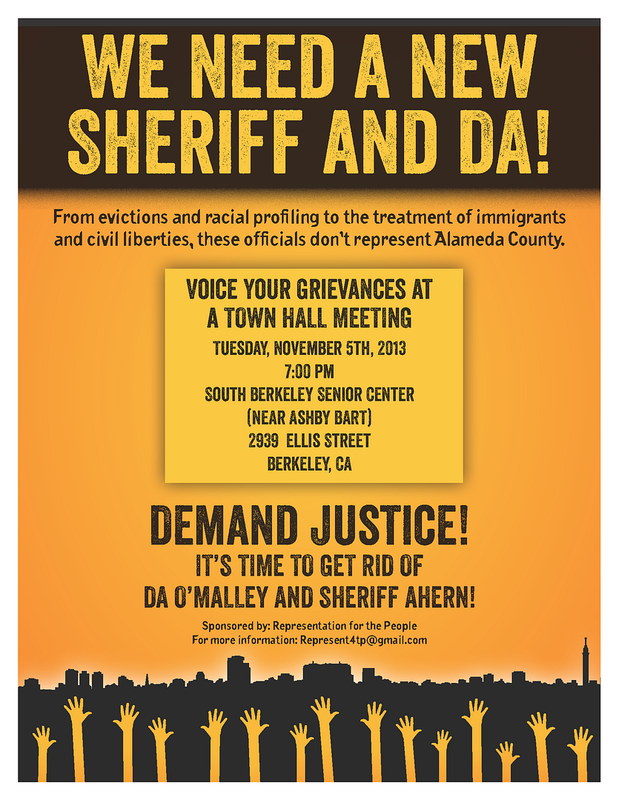 The coalition opposes the policies and actions of Alameda County District Attorney Nancy O’Malley and Sheriff Greg Ahern. These elected officials continue to run unopposed yet espouse policies and views that progressives find unacceptable. The coalition is therefore organizing to explore ways of getting rid of our sheriff and district attorney. Wilson Riles: Former Oakland Councilperson, speaking on the importance of electoral politics to a progressive agenda. Dan Siegel: Civil Rights Attorney, speaking on the violations of civil rights that the current District Attorney and Sheriff routinely commit. Reverend Buford: Pastor at the Allan Temple Baptist Church. The public will be invited to provide input. Please mark your calendar and bring a friend. The senior center is located near the Ashby Bart station. – Investigations into wage theft, abuses by creditors, foreclosure fraud and environmental crimes. – Refusal of prosecution for drug possession or use. – Voice opposition to curfews, arrests of school children, solitary confinement of children. – Independent investigations of police misconduct. – No cooperation on ICE raids and no use of ICE holds. – Abandon the pursuit of the acquisition of drones. – Refusal to participate in homeowner evictions. – An independent, unbiased Coroner’s Office. What the new globalized, high-tech imperialism means for the class struggle in the U.S.
3rd in series of three classes – if you’d like a copy of the book to read in advance of the class, please message Terri Kay to work out getting a copy to you. We will cover section 3 of 3 this week. If you missed session 1 or 2, no worries, you’ll be able to follow the discussion with no problem. We need you to speak or be a supportive audience member. 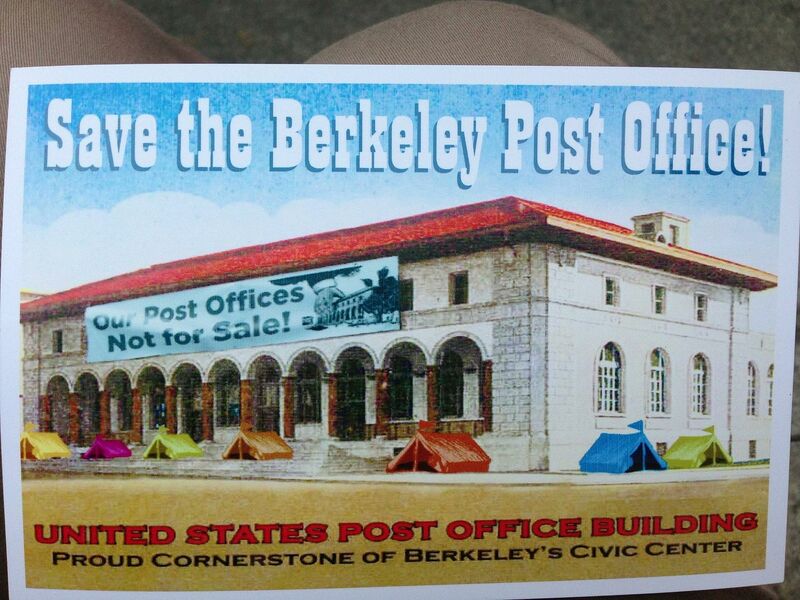 SAVE THE BERKELEY POST OFFICE! Over 75 people came to the last Planning Commission meeting–60 spoke FOR the Zoning Overlay and only 3 spoke for the developers. At this next meeting, the Commission will finalize its recommendation to the City Council. WE MUST AGAIN BE THERE TO SPEAK FOR THE ZONING OVERLAY! Berkeley’s Planning Commission and City Council propose to place a Zoning Overlay on Berkeley’s existing Historic District. This area includes Berkeley’s Old City Hall, New City Hall, Berkeley High School, Veteran’s Memorial Hall, and the Berkeley Main Post Office at 2000 Allston Way. The Zoning Overlay would limit the area’s use to community, cultural, and civic purposes. It will make the Post Office less vulnerable to developers and help the USPS realize the value that Berkeley places on its public services. Berkeley’s historic Civic Center District is our Public Commons. Let’s protect it with appropriate zoning. Although the uses of buildings change, the end result must be a stronger community, not a richer real-estate developer. Let us show that we are a city of caring citizens in community. Save the Berkeley Post Office Facebook. Berkeley Post Office Defenders Meets Mondays on the Steps of the Downtown Berkeley Post Office. As we step up a concerted transition to alternative energy, Big Oil lurches towards its last gasp: exponential development of fossil fuel infrastructure at West Coast ports for transport, storage, refining and shipping to Asian markets. The WesPac Pittsburg Energy Infrastructure Project would transform Pittsburg (a dormant industrial, residential area in our Northern San Francisco Bay) into a major crude oil receiving, storage and shipping facility. WesPac develops, constructs, owns and operates infrastructure throughout North America for petroleum products handling, and Pittsburg is the next target for modernization and reactivation of its existing marine terminal and oil storage and transfer systems. Plans are to move Canadian tar sands crude to the Chevron and Shell refineries through pipelines and extended rail systems, load it onto ships and send it to Asia to the tune of 242,000 barrels per day. This is the same dirty crude slated for the Keystone XL pipeline, a project drawing widespread opposition. Even dirtier crude oil would be shipped to the WesPac facility from southern California. Oil would also come from a huge deposit in North Dakota, which, like the California oil, would be extracted by fracking. Spills, leaks, blow-ups, smog, gas, fires (like the one in Richmond), soil contamination, prolonged effects on area air and water quality and health effects such as asthma, birth defects, and cancer, loom. Increased pollution from idling trucks, rail cars and ships — affecting wildlife, marshes and wetlands, the shoreline, polluted water in the delta (water used for drinking and agriculture), and decreased property values — will result. Pittsburg will become a fossil fuel backwater, and critically, greenhouse gas emissions, warming the climate, and threatening the integrity of our global ecosystem, jeopardize us all. Do we want the Bay Area to be the locus of this scheme to expand fossil fuel extraction and use? Do we want the health of Pittsburg and North Bay residents to be undermined by these environmental threats? And can we stand by as life on our planet is under attack? Come to the Berkeley Ecology Center to meet the groups forming to fight this and get involved in the upcoming actions and campaigns. We’ll hear the background and plan the backlash. Coalition to fight massive tar sands export from our Bay: Pittsburg Defense Council, Idle No More, Baykeeper, Communities for a Better Environment, 350Bay Area, National Resource Defense Council, Sierra Club, Groups from North Bay refinery towns, OccupySF Environmental Justice, Forest Ethics, Richmond Progressive Alliance, Refinery Action Collaborative, Sunflower Alliance, No Tar Sands, Steelworkers, Occupy Action Council, and more joining every minute!!! We have raised the entire amount for both the legal campaign and the DOE campaign! YEAH!! Our attorney Dan Siegel (working for us pro-bono) is going forward with a legal strategy developed in consultation with AFT 2121’s attorney as well as the SF City Attorney’s office. It is complementary to existing lawsuits against the ACCJC. It will be filed this week. Look out for announcement on our website this week for details. We are working to ensure that the ACCJC’s authority is not renewed by the Department of Education this December when they are up for their 5-year renewal. Our campaign made it possible for over 50 Third Party Comments to be sent to the DOE asking them not to renew ACCJC authority. Our next step in this campaign is to send a delegation from CCSF to Washington, D.C. to give oral comments at the hearing on December 12th. We expect to have an array of forces aligned on the other side who have much more money and resources than we do. There are things that do not get tweeted: neighborhoods are being transformed and not for the benefit of the majority of San Franciscans. Average rents for a one bedroom apartment in the city have eclipsed $3,000 and long term residents—many of whom are seniors and people with disabilities—are very vulnerable to eviction via the Ellis Act by landlords who want to cash in on much of the tech money flooding the city. With Twitter alone, the City is losing about $56 million of revenue dollars (doubled to what the City projected in 2011). This does NOT include SF tax payers actual spending on the Twitter new express bus route, the 83X, which was added by the MTA and the increase police foot traffic around their building. Twitter was also exempted from the ballot initiative that requires businesses be taxed on their total gross receipts rather than payroll. With widespread evictions, vital social services that are underfunded, or in a constant threat of being cut, and the crisis at City College of San Francisco and the transportation needs of the city including increase fares to existing San Franciscans — the community at large asks Twitter and the other tech companies: What is your public offering to the people of San Francisco? Sponsored by: Senior and Disability Action, South of Market Community Action Network (SOMCAN), Jobs With Justice, Bill Sorro Housing Program, POOR Magazine/Prensa POBRE, Gray Panthers, Manilatown Heritage Foundation, SEIU-United Service Workers West, Housing Rights Committee SF, SF residents and many more! Facebook Event, More Info & RSVP. SPEAK OUT at the Central Market/TL Citizen’s Advisory Committee Meeting. We demand REAL community benefits agreements! HARD TIME: Film Showing & Discussion. Speakers: Robert King of the Angola 7. Azadeh Zahrabi of Legal Services for Prisoners with Children. “Hard Times” is a film about Robert King, the first freed member of the Angola 7. King spent 29 years in solitary in Louisiana. Sponsored by the ANSWER coalition. 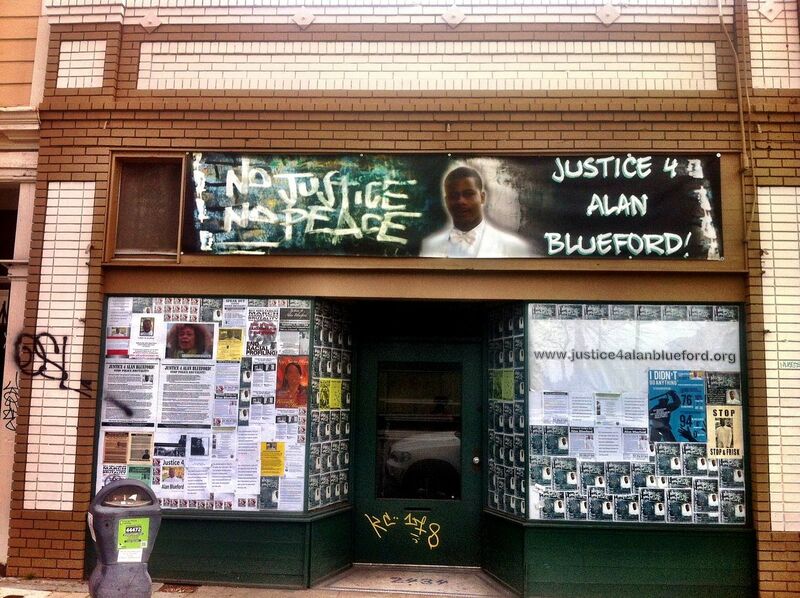 In light of other actions this day in Oakland and in Santa Rosa for Andy Lopez, the monthly Justice 4 Alan Blueford Coalition meeting has been postponed for a week.